Perfect for parties or year-round in the kitchen, it's the Star Wars Stormtrooper Candy Bowl Holder! 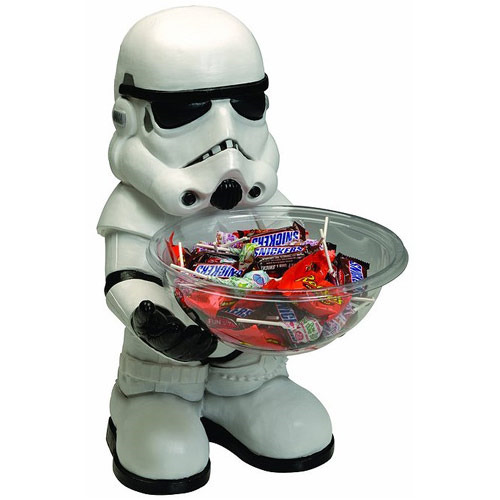 The figural candy bowl holder measures 21-inches tall and recreates the Galactic Empire's foot soldier in statuesque form. Not only do you get the detailed holder, but it comes with the bowl itself, too. Ages 14 and up.